Head finished with a game high 27 points on 9-of-17 shooting, adding 7-of-13 from the foul line. He also contributed five rebounds, four assists, and three steals. 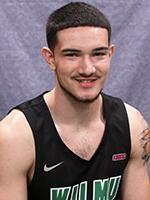 Danny Walsh (William Penn) went 5-of-9 from three-point territory and finished with 19 points while Thomas Farrior secured a double-double with 15 points and 10 rebounds. 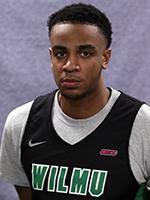 In a back and forth first half, the Wildcats took their largest lead of the game, 32-25, on a Jordan Harding (William Penn) three-pointer with 3:29 to play before the break. But the Devils would go on a 12-1 run to end the half and go into the locker room with a 37-33 lead.